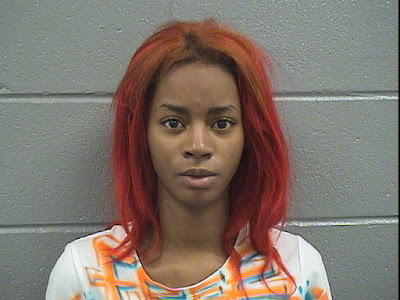 UPDATE 7:28PM JUNE 30: Today, Destiny Jones, 18, was charged with possessing/carrying a firearm. Bail is set at $1,000. Court records list her as Jones Corie Destiny, but we're guessing that's a mix-up. What's the emoji for stupid? Charges are pending against a woman who was allegedly seen posing for selfies while holding a firearm in the parking lot of a Boystown Walgreens. Police responded to the store at the bustling intersection of Belmont and Broadway just before 2 o’clock yesterday afternoon. There, they allegedly found the Snapchat Queen, topped off with bright red hair, sitting in a green Chevy with Wisconsin plates. Officers recovered a weapon and took the woman in for processing. We are withholding the arrestee’s name until charges are announced.